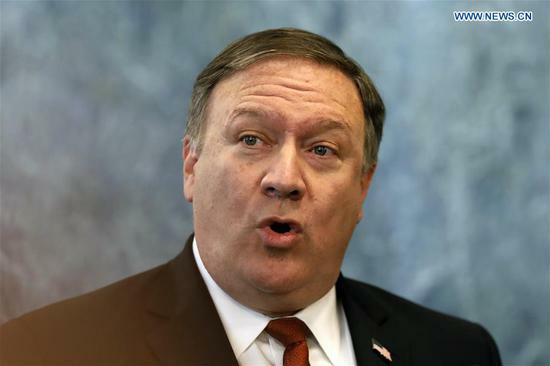 U.S. Secretary of State Mike Pompeo, a hardline conservative who took office after his predecessor lasted a little over a year, was recently showed himself to be detached from reality when he tried to tackle an economic issue on political lines. Kicking off a storm of questions from global intelligentsia over validity of his apprehensions, Pompeo declared his hope that an expected IMF package for Pakistan would not "end up in China's hands." The proclamation received swift rejoinders. Pakistan's caretaker Foreign Minister Abdullah Hussain Haroon termed it "totally wrong" for the U.S. to link the IMF package with China. He rebuffed Pompeo's comments as inappropriate and that there was no reason for anyone to intervene in the relationship between the two countries. The Chinese Foreign Ministry likewise brushed aside Pompeo's remarks. When asked if he had any comment, the ministry spokesperson was quick to assert that the "IMF has its own standards and rules when cooperating with relevant countries," and expressed his belief in the IMF's ability of appropriately handling the matter. Meanwhile, Asad Umar, widely tipped as Pakistan's next finance minister, went a step further by urging America to pay heed to issues raised by its own loans to China. Although his party has been considered critical of Chinese projects in the past, Pompeo did agree that Pakistan does not have a "Chinese debt problem." In fact, debt involving China accounts for only 10 percent of the total owed by Islamabad, and has an interest rate much lower than commercial banks. Financing of 19 projects realized under the China Pakistan Economic Corridor (CPEC), between Financial Year 2015 and 2022, involved $23.1 billion in Chinese government loans. This debt is to be repaid by Pakistan in 20 years with a grace period of five years and at a weighted average lending rate of 2.4 percent. The IMF bailout is actually intended to address the pressing issue of Pakistan's balance of payments. The country is also trying to address problems of its currency's stability and payments for imports. It's to be expected that the hawks pushing Trump administration into diplomatic tight spots might lobby for attaching China-specific clauses to the IMF package, since a pitch by United States for an outright refusal from the IMF seems unlikely. The day Pompeo made these remarks, a widely publicized blog post by the Centre for Strategic and International Studies echoed his words, suggesting some sort of method to the madness. Its author, unsurprisingly, had been representing the U.S. on the IMF executive board up to April this year. Pompeo might be losing sleep over his preconceived concerns about the international body's funds ending up in China; however, in reality, the amount will most likely remain stowed away at Pakistan's central bank to support currency reserves. In case it offers him any further relief, it should be stated that Pakistan is unlikely to issue even a local currency equivalent of the bailout amount in the market. The IMF package should reach Pakistan in fourth quarter of the current calendar year. That will coincide with the annual inflow of CPEC funding from China – estimated at around $2.4 billion. Thus, it will be a time of inflows from China to Pakistan rather than going in the opposite as Pompeo fears. What also reflects his apparent lack of understanding of the financial body's working is its requirement of guarantees for the amount to be used only for IMF-sponsored reforms. It will hardly be possible for Pakistan to make modifications in the package to pay off any borrowing from China, per se. Here the IMF, too, needs to come out clean. Monetary assistance in the form of loans or bailouts is at its own sole discretion. After the shallow attempt by the U.S. official, IMF, being an independent international entity, should either refute or acknowledge that it suffers from American interference. Pakistan is slipping away from Western influence at an unprecedented pace. The Trump administration has to keep in mind that if the IMF offers the program in a form that is unacceptable, Pakistan will be forced to look towards players that do not fall under Western ascendancy in the traditional sense. The threat made by Mike Pompeo is blatant politicization of the IMF. And his government, not taking into consideration the investment pattern of China's Belt and Road Initiative, frequently and incorrectly portrays it as a debt maker. It's now time for the United States to stop dictating to other countries on how they should be engaging with their allies – for the unipolar age is already just about over. America once again is seeking to dictate what political and economic relationships other countries should develop. Its bullying of Pakistan shows it simply won't learn to stop.